After a quick one-week hiatus, the Octagon returns to action this Saturday with “UFC Fight Night: Machida vs. Mousasi.” I know, hard to believe considering the card is getting next to no hoopla. The UFC can thank Jessica Eye’s flunked drug test and subsequent lies for hoarding most of the MMA headlines. Oh yeah, Thiago Silva hasn’t helped, either. Anyway, a pivotal middleweight shootout between Lyoto Machida (pictured) and Gegard Mousasi headlines the show. 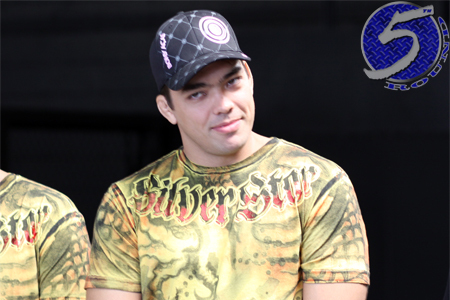 Machida is almost a 2.5-1 odds-on favorite to move to a perfect 2-0 since dropping to the 185-pound division. Mousasi, meanwhile, checks in as nearly a 2-1 underdog. Arena Jaragua in Jaragua do Sul, Brazil serves as host. Fox Sports 1 broadcasts the main card live in America.